Along with ruling the Indian markets the, Tiger Zinda Hai is ruling the worldwide box office too. The movie has been earning well at the overseas market. Well, we knew Salman Khan had fans all over the world! Critics may tell you what the film lacks but the audience is rushing to the film theatres, with tubs of popcorn in their hands. It would now be interesting to see what other records Tiger Zinda Hai breaks as it enjoys a solo run at the box office for a substantial amount of time. According to the latest figures, the movie has earned 110.67 at the overseas market and 295.27 crores nett at the Indian market (377.94 crores gross). Which sums up to a total of 488.61 crores globally! 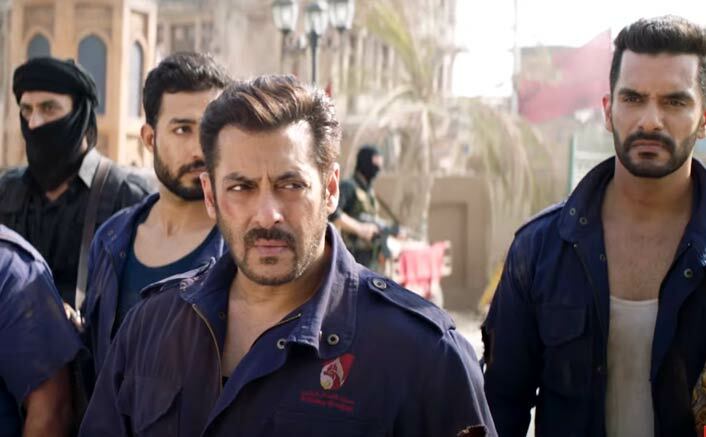 The spy-thriller, which is a sequel to the 2012 blockbuster, Ek Tha Tiger, revolves around Salman as a RAW agent, and Katrina as an ISI (Inter-services Intelligence) agent, and their deadly mission to rescue 25 nurses, who have been held hostage by ISIS, a terrorist organization. Tiger Zinda Hai will also benefit from the fact that this Friday did not have any major releases for the Hindi film industry. Actor Gavie Chahal, who played the role of a Pakistani spy in Salman Khan-starrer Tiger Zinda Hai, says he has started getting TV show offers from Pakistan as people there feel that he belongs to the country. “It means I have justified my character well. If people start thinking of you as your reel-life character, then there is no bigger achievement for any actor. I am getting calls for Pakistani shows,” Gavie said in a statement. “I had not imagined this kind of response from the Pakistani audience. After Ek Tha Tiger released, I had started getting emails from Pakistani fans and that is being repeated again. “When we shot in Abu Dhabi, many supporting artists were from Pakistan and they used to ask me where I stayed in Pakistan. I was more than happy that my character is being recognized,” he added. The post Tiger Zinda Hai Worldwide Box Office Update: Salman Khan Is On A Record Breaking Path appeared first on Koimoi.